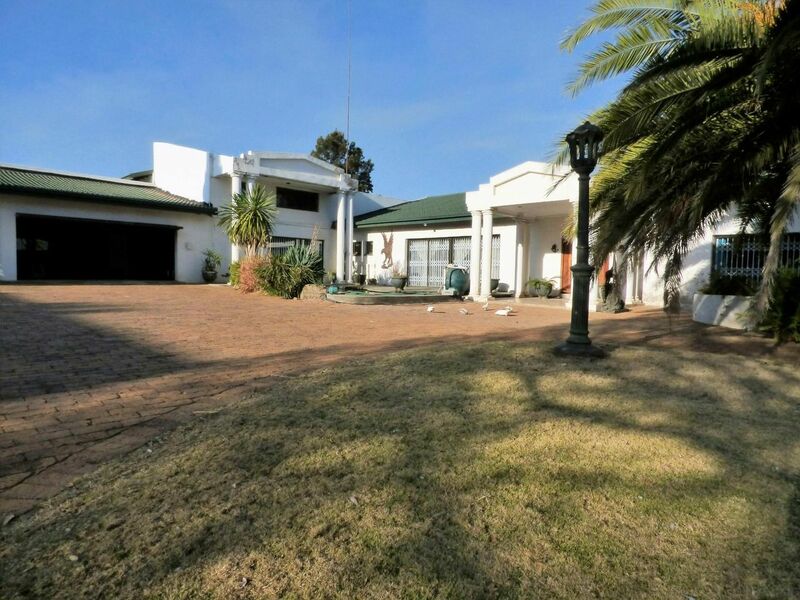 Sign up and receive Property Email Alerts of Houses for sale in Benoni Small Farms, Benoni. Live the country life close to everything. Elevated home with spectacular views of the pan. Watch the flamingos from your bedroom window, enjoy the sunsets and the bird life. Large home with the accent on entertaining. Five bedrooms of various sizes, two with en suite bathrooms and one with a private lounge. Fabulous kitchen of hotel proportions plus a walk in pantry and separate scullery. Poolside under cover patio, gym room, hobby room and fitted bar to delight any sociable host. Second building houses a two bedroom flat with a guest loo, bathroom, huge lounge, kitchen and family room. Additional flatlet with some changes. Currently house a large laundry room. Third flat for gran or tenant. Separate function room has a fully fitted kitchen and can comfortably accommodate 80 to 120 guests. Enormous workshop and parking for an extra 6 vehicles. This is a taste of much more this property has to offer. Sign-up and receive Property Email Alerts of Houses for sale in Benoni Small Farms, Benoni.